Southern Loggin’ Times’ May issue spotlights Ark.’s Steve Bolin, who has a hand in four different logging operations as principal of five separate industry and non-industry businesses. He also maintains an active role and is the current president of Arkansas Timber Producers Assn. Also featured are John Ipock Logging, where a cut-to-length system makes the best stand against high operational costs, and Frampton Ferguson, who is looking for all the little ways to boost efficiency. Kentucky logger Pot Blevins is highlighted for working in a challenging environment. 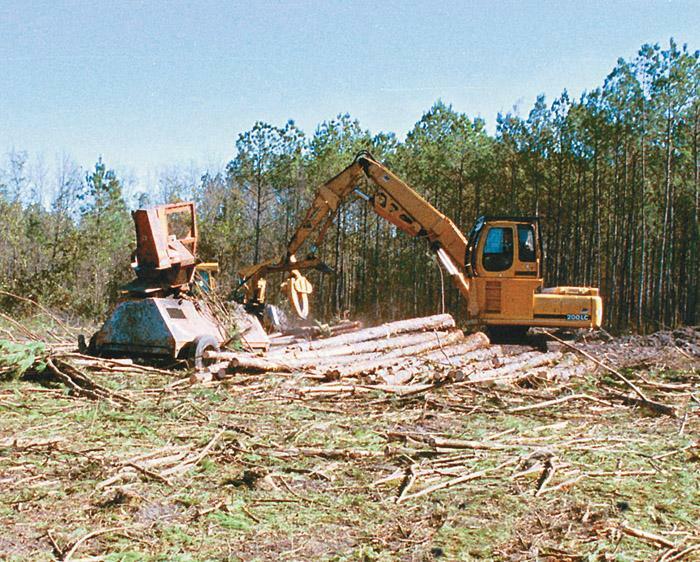 An article provides a recap of Timber Harvesting Expo Southeast. 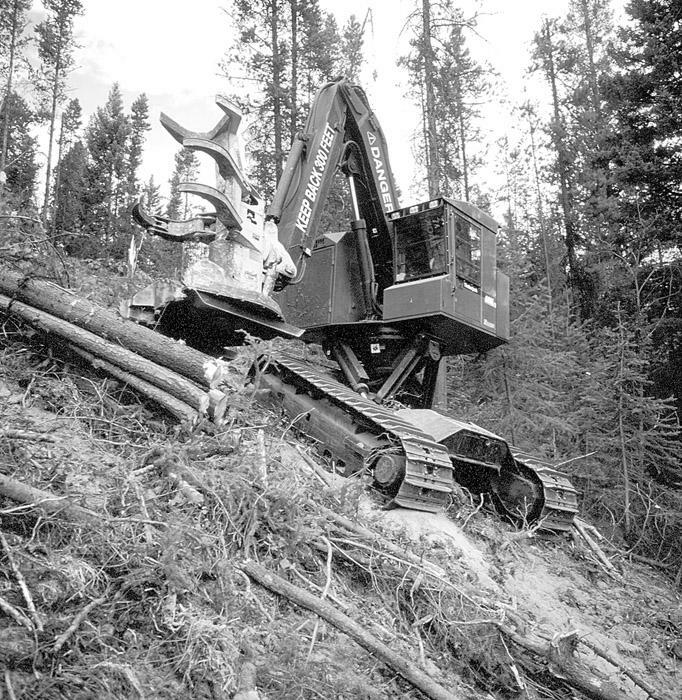 There’s no getting around the issue: Outfitting a productive logging side is expensive. In what other industry can a person willingly invest more than a million dollars in machinery and supplies just to make a living? Many loggers have asked that question. 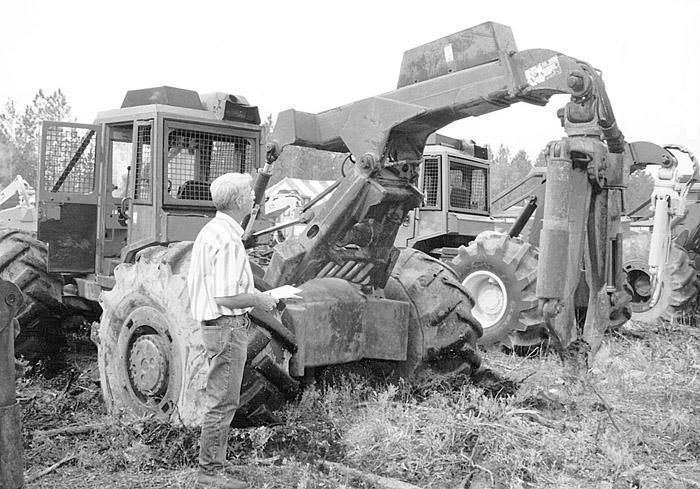 However, four years ago, John Ipock, owner of Ipock Logging Co., Inc., decided to do something about it. It was years ago that Frampton Ferguson, 37, owner of Ferguson Forest Products Inc., found all the “big things” to save money and boost efficiency in response to rising costs. “Now we’re cutting costs with the little things,” he says. When Southern Loggin’ Times visited Ferguson in 1991, he was already rooting out the inefficiencies, using software to figure out the costs and benefits of each machine. Only a logger who works in a mountainous region can fully comprehend what Vernis (Pot) Blevins encounters every day. It’s all he’s ever known, however, so the Kentucky Master Logger just takes the lumps along with the triumphs. The rugged terrain often means difficult navigation, but it also means beautiful surroundings. Neither the cold, nor rain nor market concerns could keep loggers from turning out in large numbers for Timber Harvesting Expo Southeast here April 14-15. 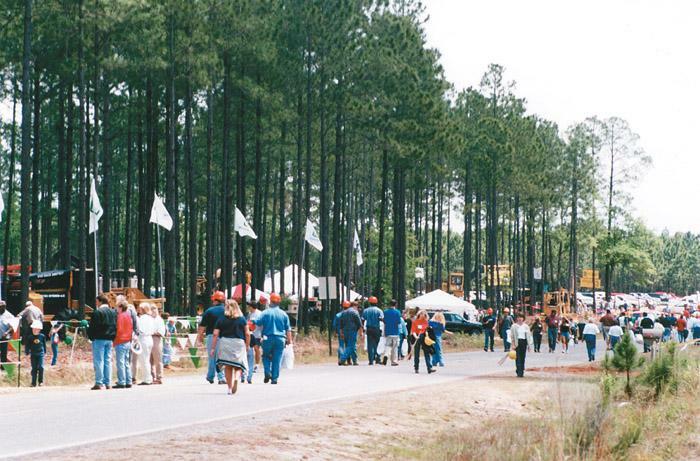 Just over 2,500, including more than 1,800 paid registrants, attended the nation’s oldest live logging equipment demo. Those who attended got their money’s worth—and then some. 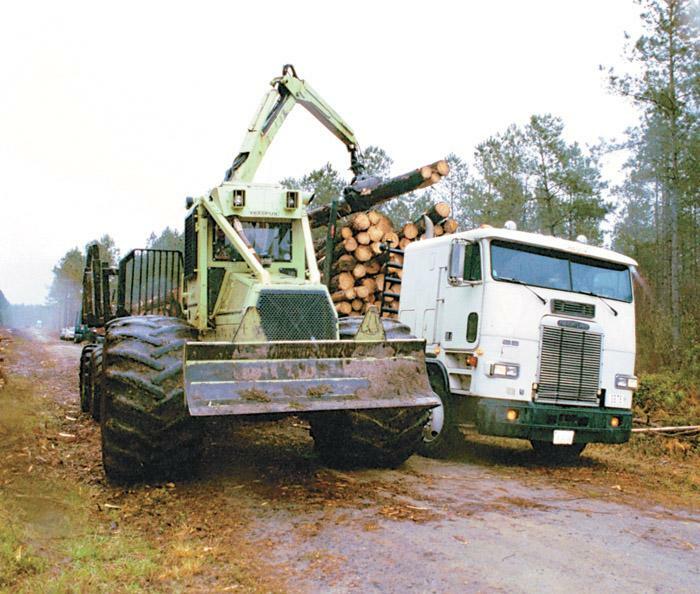 The logging profession tends to be a cyclical business running in five- or six-year cycles. Conventional wisdom would say the current downturn is pretty much like all the others. A few marginal or less established operations won’t be able to weather the slowdown, but the experienced operators will probably survive. Timberjack introduces the 608L self-leveling tracked feller-buncher. Based on the 608, the 608L has a 4-bar linkage mechanism that shifts the upper 36" ahead of the track frame while tilting to 27° (51% slope) forward. The 4 way leveling system is capable of 360° continuous rotation with no swing stops and separate leveling speed controls for fore-to-aft and side-to-side leveling. 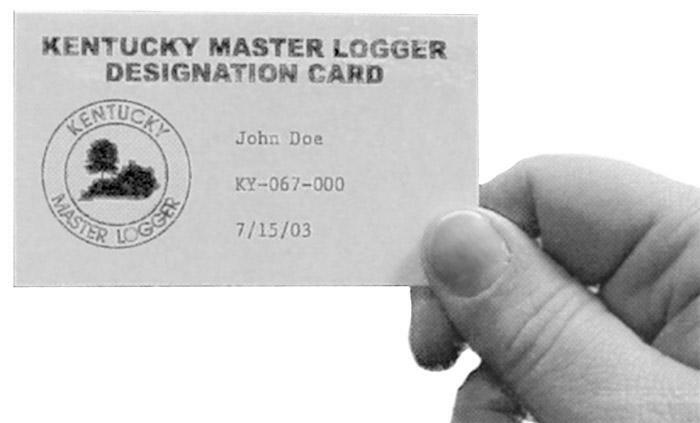 All loggers who have completed the Kentucky Master Logger program should have received a Kentucky Master Logger Designation Card in the mail. New graduates of the program now receive their cards along with their graduation certificate on the third day of the program. 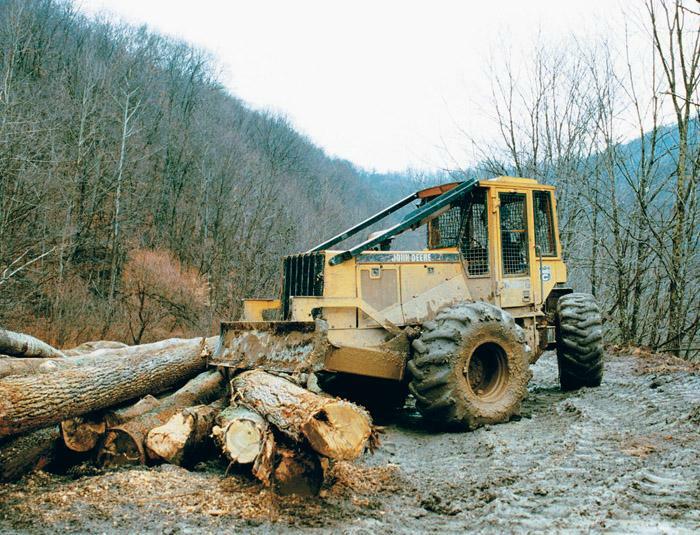 The cards are necessary to keep on hand, because after July 15, the Kentucky Forest Conservation Act requires that every commercial logging operation have a Master Logger on site and in charge.